Looking for a business brokerage in the Dallas Fort Worth area? You have come to the right place. We are a North America’s market-share leader in business brokerage. Buying and selling a business demands a high level of expertise that you get from seasoned business brokers with experience in all aspects of the transaction. We are part of one of the largest and most successful business brokerage firms in North America with offices conveniently located in Dallas, Texas. Whether you are selling or buying a business, we will help turn your vision into reality. The thought process that concludes with “I want to sell my business” is emotionally complex. The mental detachment necessary to reach the conclusion to sell your business may accompany a decline in the business performance. The Montgomery Team understands that lowers business value. We want to begin working with you long before marketing the business. We want to engage business owners when they are thinking “what am I going to do with my business?” “should I sell my company?” We’ll be with you to help you take it—and guide you through the entire process of a successful sale (read more about selling your business with us). Let us walk you through the process of deciding whether its time to sell a business or perhaps you are interested in starting your own business, be assured that Murphy Business Dallas business brokers have the experience to guide you every step of the way. Business Brokerage is generally understood to involve business transfers valued at $2.0 million, or less. The Montgomery Team believes it is more appropriate to define M&A by the emergent buyer pool. When private equity partners and strategic buyers investigate a business for sale, then it is M&A. By either definition, the Montgomery Team has marketed such businesses and closed deals. Learn more about our Mergers and Acquisitions service. Find out why buying a business with the Montgomery Team is the best choice, contact us today. View our business opportunities today to begin the journey of finding the business for you. Identifying and acquiring high-quality businesses for sale is a huge challenge for many would-be entrepreneurs. The Montgomery Team primarily focuses on seller representation in the marketing and sale of a business. However, we also serve as buyer representatives for business acquisition. 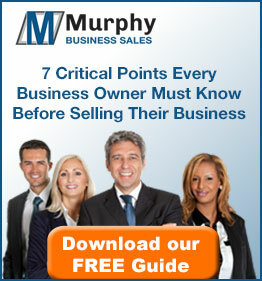 View our Buying a Business page to learn more. For some people, their American Dream is business ownership. Because of limited time and/or financial resources, they may not be able to find an appropriate existing, cash-flowing business. A franchise start-up business may be a great option for them. Through Murphy partnerships, the Montgomery Team has an extensive portfolio of franchise business startups with proven business models. Before investing in a Dallas or Fort worth based franchise know that research is required and a solid franchising strategy is recommended, Murphy Business has the expertise to advise and consult the process of becoming a franchise owner. Visit our Franchise service page for more details. To avoid any conflict of interest, their preference is to complete business valuations using a certified third-party valuation appraisal company. Because the Montgomery Team organizes the financials before submitting them to the Certified Business Valuator, we can offer business valuations at a competitive cost. For businesses that have high-value equipment, the business value estimated by market data and cash flow methods may be lower than the equipment value. If the owner of a high-asset value business is considering selling his business, a machinery and equipment appraisal may be the appropriate appraisal method. Business brokers Andy and Mariann Montgomery are prepared to complete a full machinery and equipment appraisal to ensure that you get the dollar value you deserve, contact us today to begin your business valuation process. We are happy to assist you in buying or selling a business or business advisory, seek professional help from Murphy Business & Financial Services, The Montgomery Team.